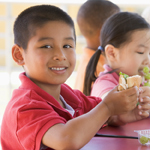 Established in 1953, the California School Nutrition Association (CSNA) is a member driven organization dedicated to feeding California's school children. Our membership includes directors and supervisors, kitchen managers and staff, and our industry partners who support us continually. CSNA provides education and training, professional development and many other opportunities for professional growth to our members. Our mission statement reads: "Educating and empowering members to provide healthy meals to foster an environment where children achieve overall wellness and lifelong success".To help foster this environment, marketing our programs is a key element to our success. We have many customers that we reach every day from the students and their parents to the principal and teachers, your staff and the community at large. We need to let them know what we have done and what we are doing to provide their children healthy, nutritious meals. The California Outreach Toolkit for School Food Service was designed with this in mind. The Toolkit will guide you through whatever type of marketing needs you have and help you understand the value marketing can add to your program and to increase participation. There is a section on the Marketing Plan which will help you design a plan from scratch. There are tips for each one of your target markets whether you want to have a successful student taste testing, staff training, a presentation to your School Board or working with social media. Also included are resources from partnership organizations, several web-based resources and Best Practices from some of our own members who have had successful marketing campaigns on their campuses. This Toolkit was designed for you and we wish you success as you peruse these pages and implement the ideas to market a healthy environment. Visit California School Nutrition Association Web site.